Academic Writing Tips Can Be Very Helpful! Studying in college and university is associated with constant academic writing. Every student is expected to attend numerous boring lectures, work on multiple home assignments and, at the same time, manage to do it according to the given deadlines. Professors probably do not know that students do not have any superpower that will make them write faster and better without proper training. Each assignment requires much time, which students usually do not have at all. 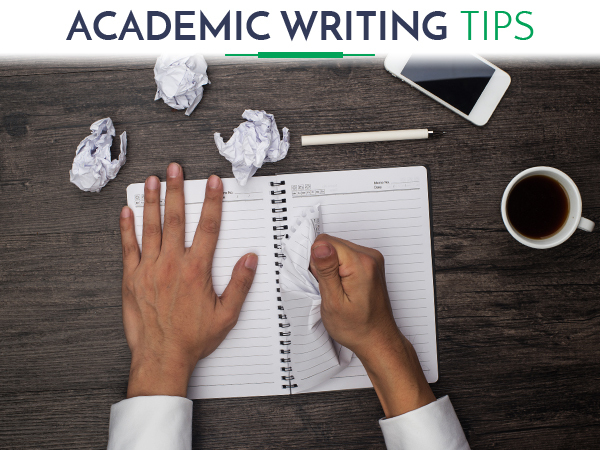 If you want to know how to handle writing a paper, welcome to our academic writing tips page that will give you an insight into professional writing. No matter what academic writing skills you have, do not postpone your assignment till the last hour. A huge mistake students make is to think that you will do that task tomorrow. Not tomorrow – today is a perfect opportunity at least to start writing and check your task file to understand the scope of work. If you have all instructions in front of you, check what is required. Maybe you will need to clarify some instructions, maybe you will have to visit your college library for extra materials, maybe you should cooperate with your classmates – it is vital to read your professor’s requirements to the full. The worst scenario ever is to begin writing a few hours before the due date. In this case, it is better to outsource your home assignment to academic writing services that will do everything for you and deliver the paper even within those 3 hours. However, if you still prefer working on your own, do not think that presenting barely comprehensible ideas is a good way out. You will not look smarter in teacher’s eyes. Imagine that you have to explain a topic to your friend – write in a simple language and then edit your paper. In most writing tips, you can see a rule to strive for perfection or excellence. It presumes a fact that you should be perfect in writing and present only brilliant ideas. Does it make sense to you? We guess not. How can you write perfectly if you do not have proper writing skills and do not know how to apply critical thinking? You cannot be perfect, but you can be good in academic writing. It is the essence of success. You should pay enough attention to every writing task and do not underestimate its importance, even if it takes only 5-10% of your final grade. Writing academic papers is not easy, and you should realize it. We do not want to stress out that you should not develop your writing skills. What we want to say is that only a few students can be excellent in writing, but many can be good at it. You should work on the way you present ideas on paper. Create a draft first and then check if your sentences make sense and do not go off the track. Get rid of too complex sentences that take a few lines. If you are involved in writing on a permanent basis, then you are bound to become a good writer and effective academic writing will be easily reached. If you have already created your first draft, do not be afraid to show it to someone or you can read out loud what you have written. You can ask your friend or a parent to listen to your story. It will be helpful to find out if your essay contains mistakes, which you could not identify on your own. Do not forget to edit your paper or our academic writers can do it for you. Now you are ready to hand in your paper and see if it works out!